Okay, most of you know that I am a writer. I’m one of those crazy people that gets a thrill out of writing a descriptive scene with just the right amount of tension. I’m also well-aware of how the word count feature in Microsoft Word works and *YES! * I am a writerly nerd and I track my word count on an Excel spreadsheet. So you’re still wondering about the title of this blog post? I belong to some fantastic groups of writers who have a passion akin to mine and for years I observed my writer pals participate in a seemingly impossible quest called NaNoWriMo. 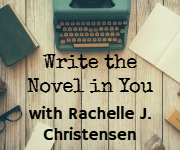 It stands for National Novel Writing Month and the challenge is to write a 50,000 word novel in 30 days. The first couple years I heard about NaNo, I just thought there was no way that I could possibly do that. 50,000 words in 30 days???!!! I figured I’d have better luck running a 5K in 15 minutes. For those of you unfamiliar with Word Count–my first suspense novel, Wrong Number , had over 72,000 words–that’s a 198 page book people. So yeah, there are lots of books out there with lots and lots and lots of words! So when I first heard about NaNoWriMo, I didn’t think it was possible. That was before I gained more confidence in my writing abilities. The next year I had a newborn baby and just didn’t think I could do it–again the confidence was a bit lacking. 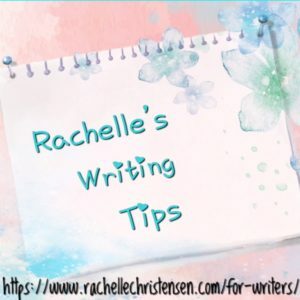 The next year, I was on a roll finishing up a literary novel–one whose characters haunted me night and day to finish their stories and I didn’t want to stop my writing and revising stage to begin a new 50,000 word novel. Well, I had another newborn baby, and so when I saw all my buddies signing up for NaNo, at first I thought, there’s just no way that I can do this because I’ll be nursing/caring for my infant roughly 8 hours a day (and in the middle of the night) and what about my other 3 kids? But then that writing craziness kept bugging me and tempting me with visions of Excel spreadsheets accumulating word counts aggressively. Thoughts of finishing a novel by the end of the month were too much to resist after feeling like I was practically comatose in the last few months of my pregnancy and not having the energy to do anything! So I enlisted for NaNoWriMo! I told my hubby that I just wanted to try for it, but later I confessed (something he already knew) that I don’t do well with trying–I have to DO and so if I was going to sign up for this I was going to work hard to meet my goal and probably be pretty disappointed if I couldn’t make it. Well, I hit 13,010 words that first week and was on a Word Count high! My husband rocked our sweet baby and helped me squeeze in the writing time I needed to make my goal. I was so excited about the progress I made on that new novel, which was a follow-up to my first book, Wrong Number . The best part about the NaNoWriMo challenge is that it helped me realize what I’m capable of as a determined writer and it has given me a good dose of motivation to keep up the daunting task of filling pages with words because I love to write. I realize that there is a good possibility that I might not be a winner with 50,000 words in the NaNo challenge, but I was going to DO my best. I’m so grateful for wonderful friends that are cheering me on and for my awesome family who continually supports me in everything I do. I’m grateful for challenges that show us the possibilities within that we were afraid to see. I hope that if there is something you’ve been thinking about doing–maybe you haven’t been able to dig up the courage and confidence to give it a shot yet–but I hope you go for it. Reach for the stars! Are you going to do NaNo? I’d love to hear about it!